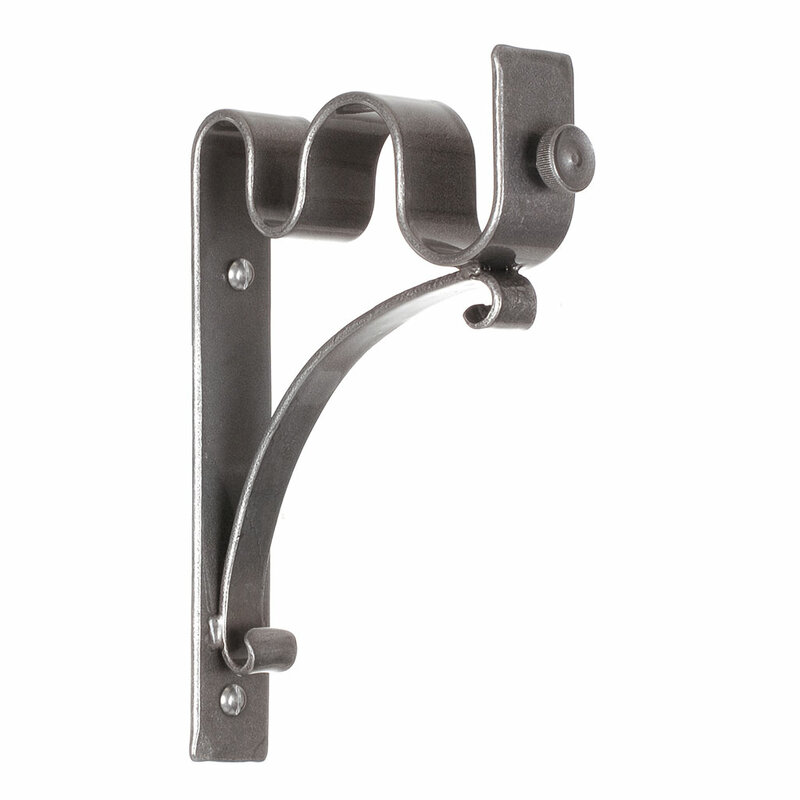 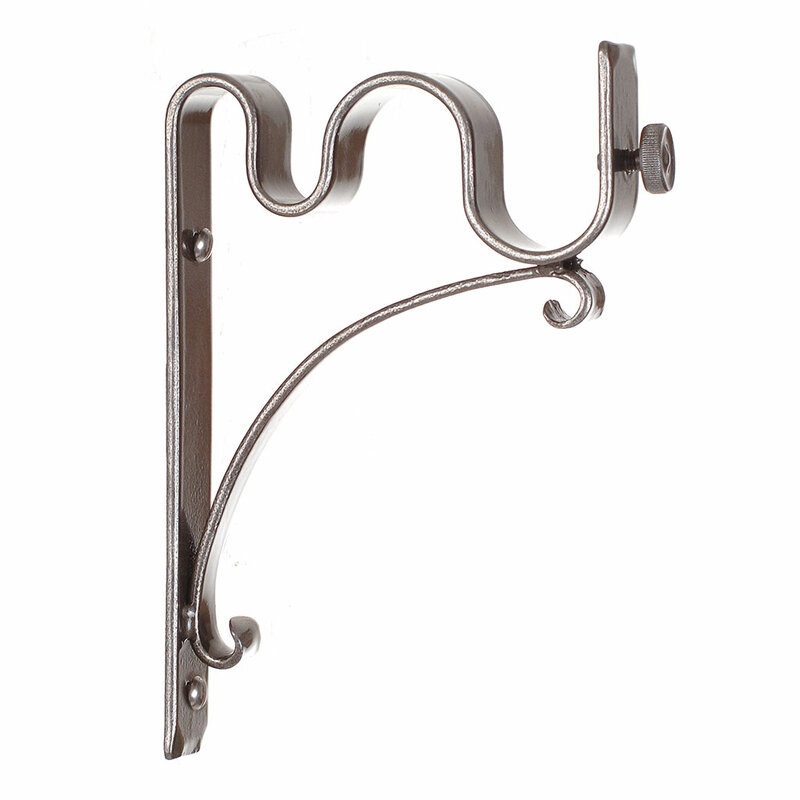 This hand forged, steel Double Pole Standard Bracket allows a 25mm and 12mm classic pole to be used at the same window. 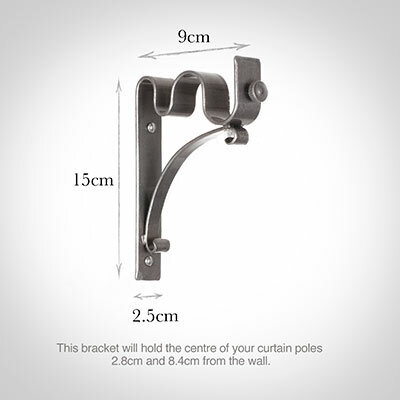 This enables two curtains, or a curtain and blind, to be hung together. 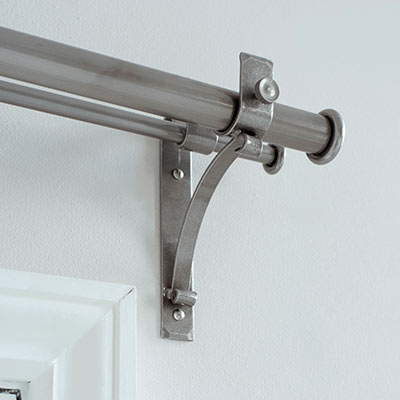 It can also be used with a single 25mm pole if you wish to hang the pole further from the wall.